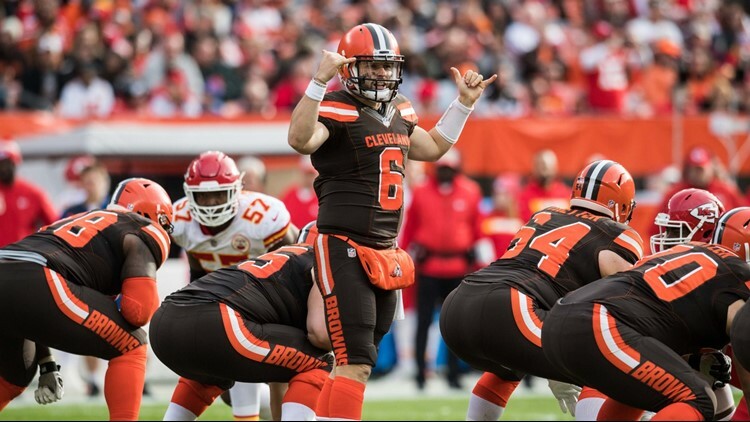 Cleveland Browns quarterback Baker Mayfield (6) during the second half at FirstEnergy Stadium against the Kansas City Chiefs. "We still have a lot of games left," Mayfield said. The Cleveland Browns bring a four-game losing streak and 2-6-1 record into Sunday’s game against the Atlanta Falcons at FirstEnergy Stadium in Cleveland, but there is no proverbial folding of the tent and just playing out the final seven games of the 2018 regular season. Not with rookie quarterback Baker Mayfield leading the offense. “We still have a lot of games left,” Mayfield said. “If I was down about it, I do not think that I would be the man for the job. 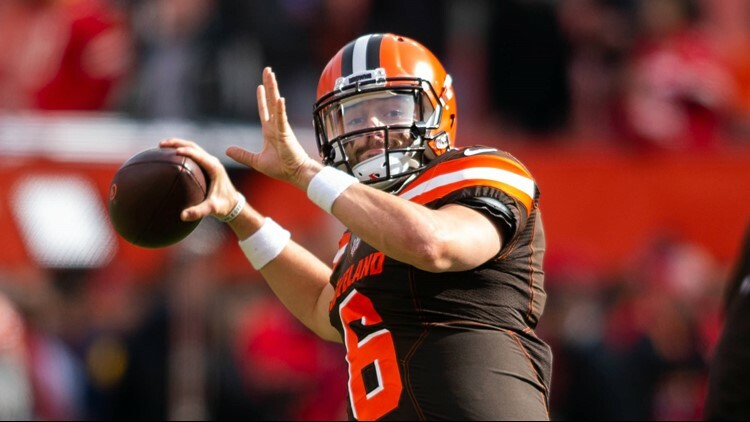 Cleveland Browns quarterback Baker Mayfield (6) throws a pass during warmups before the game against the Kansas City Chiefs at FirstEnergy Stadium in Cleveland, Ohio. Despite the current four-game losing streak, which dropped the Browns three games in back of the Pittsburgh Steelers in the win column in the AFC North Division, veteran cornerback Damarious Randall is confident the team can get the 2018 season back on track. “I feel like we’re holding together pretty good,” Randall said. “Everybody has each other’s back and we’re going to go out there Sunday and fight for each other. Interim coach/defensive coordinator Gregg Williams has seen plenty of work put in since taking control of the team on October 29, and despite last week’s 37-21 loss to the Kansas City Chiefs at FirstEnergy Stadium, he saw a team that was focused and ready to get back to work. In fact, Williams saw several players give up their days off Tuesday to come into the facility and study film of the Falcons. 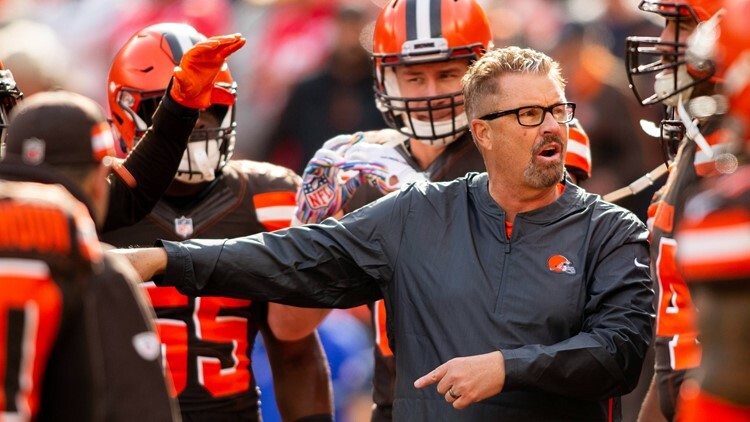 Cleveland Browns head coach Gregg Williams yells at his players to huddle up before the game against the Kansas City Chiefs at FirstEnergy Stadium in Cleveland, Ohio. “Atlanta is really good,” Williams said. “We have been playing those teams all year long. All of a sudden, week by week, someone jumps up, someone jumps back, all of that stuff. We have improved a lot here from year one to year two in the passing game.